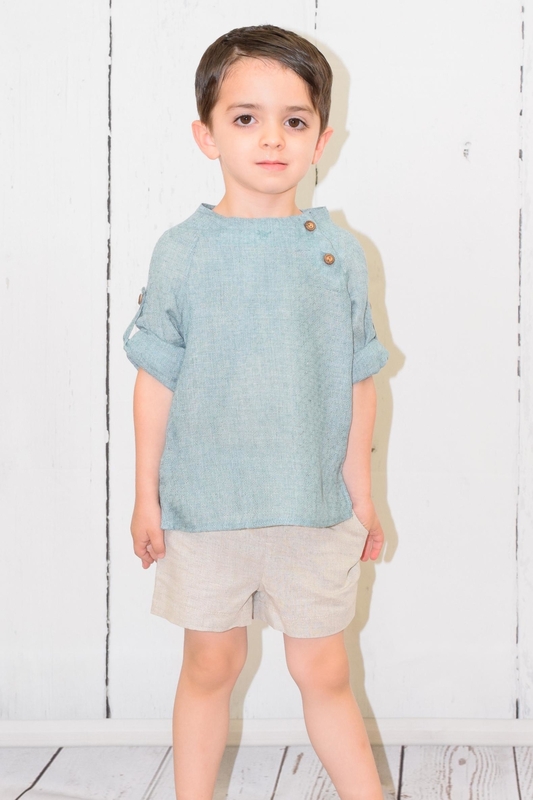 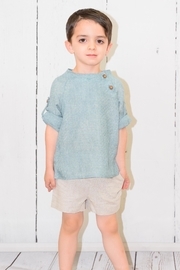 An elegant yet fresh two piece outfit for boys. 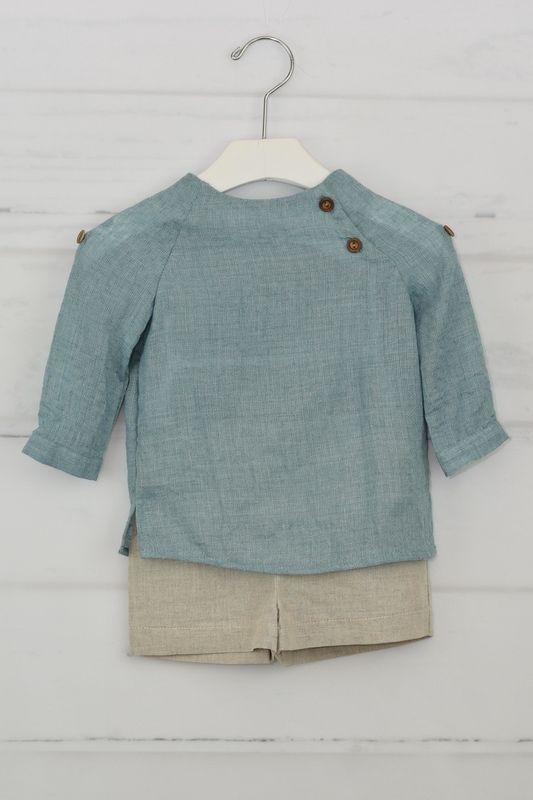 The shirt is made with a green cotton fabric which is very light and ideal for summer with buttons on the side of the chest and on the sleeves so they can be rolled up. 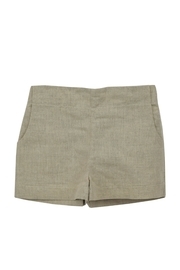 The shorts are beige in a linen-like fabric it has pockets and an elastic band for closure.